Pioneers in the industry, we offer rock salt powder, cardamom elachi powder, clove (laung) powder, cumin powder, white mari powder and badiyan powder from India. We are devoted towards offering the qualitative range of Rock Salt Powder as per client’s precise need and requirements. Our Powder are widely demanded in medium and large sized enterprises in all over india. Cloves are one of the spices indigenous to Asian countries. That contains anti-mutagenic and antimicrobial properties. 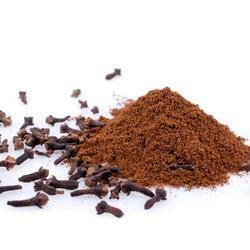 cloves are characterized by intensive fragrance, warm flavor and pungent taste. 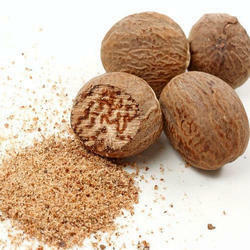 it is beneficial in reducing blood sugar levels. 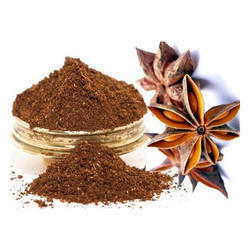 We are Ahmedabad based well-known Clove powder Manufacturers in India. other name of cloves is “Lavang“, “Laung“. it is very common type of spices that are extensively used for cooking and other purposes. Cloves is most popular flavouring agent that used in a variety of ways across the world, particularly in Indonesia, India, Pakistan, and even areas of East Africa. 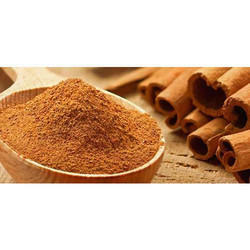 We also supply other Indian Cooking spices like cinnamon powder, black pepper powder, cumin powder, garlic powder and many more. Jeera or Cumin Powder is an integral part of Indian Cuisine. it can be used as a natural remedy for various health problems. We are also Cumin Powder Manufacturers in India & supplying you optimum quality of Cumin Powder. 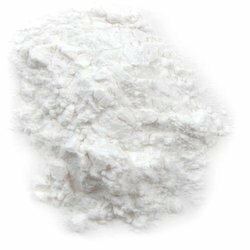 We are devoted towards offering the qualitative range of White Mari Powder as per client’s precise need and requirements. 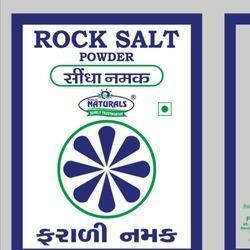 Pooja Traders is Ahmedabad Based renowned White Mari Powder Manufacturers, Suppliers in India. our Powder are widely demanded in medium and large sized enterprises in all over india. We are devoted towards offering the qualitative range of Badiyan Powder as per client’s precise need and requirements. 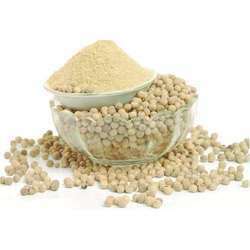 Pooja Traders is Ahmedabad Based renowned Badiyan Powder Manufacturers, Suppliers in India. Our Powder are widely demanded in medium and large sized enterprises in all over india. Tejpatta (Indian Bay Leaf) is antioxidants that contain a volatile oil. Pooja Traders is Ahmedabad Based one of the renowned Tej Patta Powder Manufacturers and Suppliers in India. 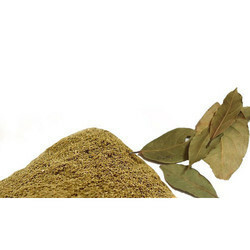 Our Tejpatta (Indian Bay Leaf) Powder is widely used as cooking Spice. Tamala plant is called Tejpatta and it is used as a spice in Indian kitchen and in Ayurvedic medicine. Garlic (Allium sativum) has been used as a home remedy and medicinal tool. Pooja Traders is Ahmedabad’s leading Garlic Powder Manufacturers in india. It’s a pretty awesome herb. Garlic is well known as a natural health remedy that has long been used to treat various ailments. that is used to enhance the flavour of a variety of cuisines. Garlic can be taken in several forms: fresh/raw garlic, aged garlic, garlic oil and boiled garlic. Garlic contains sulphur compounds, enzymes, and a variety of nutrients including vitamins, minerals and fibers. 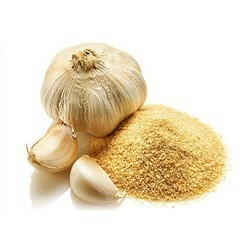 Garlic powder is known as spice around the world because of its versatility and delicious flavour. This powder is quite easy to make, and you will find it as a seasoning in various dishes like soups, stews, pizzas, salad dressings, and in sauces like barbecue sauce. In order to Jayfal Powder the ever-evolving demands of our esteemed clients, we are engaged in providing an optimum quality Jayfal Powder in Ahmedabad, Gujarat, India with reasonable price to our valuable customers. we are also leading Suppliers of Jayfal Powder in all over india. Karela is a blood purifier, activates spleen and liver. It is a rich source of phosphorous. It contains nutrients like vitamin A, vitamin C, Biotin and Zinc and many more. Karela is considered as the great green vegetable having low calorie. It is very low in calories and high in dietary fibres. Pooja Traders is Ahmedabad based renowned Karela Powder Manufacturers in India. That belongs to Cucurbitaceous family, commonly known as Bitter gourd or Bitter melon. 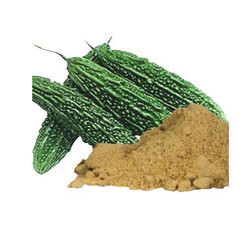 As a renowned brand in the market we Supplying Bitter gourd (Karela) Powder in all over India which is hygienically processed and packed. Owing to our enriched industrial experiences, we are committed to providing a wide variety of excellent quality White Pepper Powder. Our range of white pepper powder is prepared from the best quality pepper to ensure natural taste and aroma. 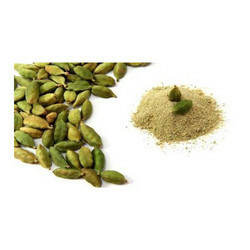 It is widely used for flavoring various foods and also acts as a preservative. 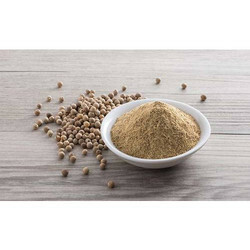 The white pepper powder is also used as medicines for curing a variety of illnesses and diseases like heart disease, indigestion, constipation, etc. Being a foremost organization in this industry, we are actively engaged in offering the finest quality range of Dalchini Powder Manufacturers in India. Ginger powder is also known as (Sonth/Soonth/Saunth) in Hindi. 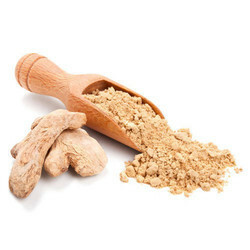 We are devoted towards offering the qualitative range of Ginger Powder as per client’s precise need and requirements. 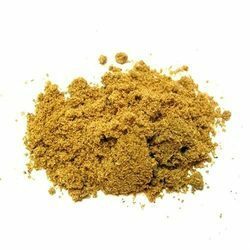 ginger powder is used in spices and masalas for gravies, curries, marinades, stews etc. 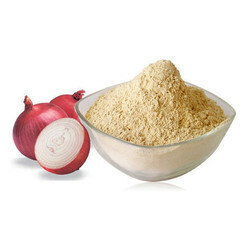 We are devoted towards offering the qualitative range of Onion Powder as per client’s precise need and requirements. Pooja Traders is Ahmedabad Based renowned Onion Powder Manufacturers, Suppliers in India. our Powder are widely demanded in medium and large sized enterprises in all over india. We are one of the renowned ahmedabad based Lahsun Powder manufacturers, Suppliers and exporters in india at reliable prices. We are offering White Mirch Powder to our client. We are supplier of Jeeraka Cuminum Cyminum Jiru. Looking for Cooking Spices ?